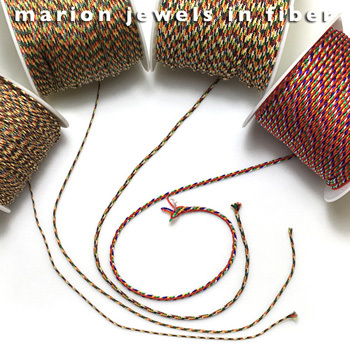 News 2016 from Marion Jewels in Fiber! 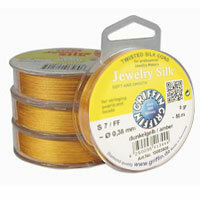 December 14 - New Metallic Cord for Kumihimo - Just in! 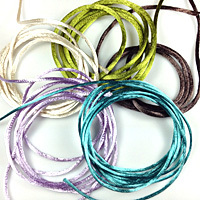 Soft and pliable metallic cords perfectly suited for kumihimo. Has high sheen and metallic luster. Great for blending into braids for metallic accents! I have been looking for metallic cords, but until these I have shied away. The other metallic cords were either too fragile, had no tensile strength, or they would be rough against the skin. Try these new metallics and let me know what you think. If you like them as much as I do, I will expand the color range. 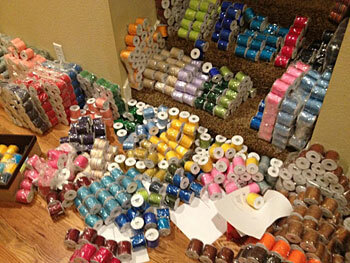 December 10 - 100% Nylon Ribbon for Kumihimo - NEW JUST ADDED! Hand dyed in the USA in solid colors or tonal variations. 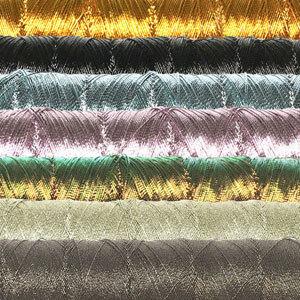 Super shimmery, strong, yet super soft. Knitted tube construction, flattens to a 4mm wide ribbon. Sold in 12 yard card. Perfect for kumihimo braids - use it by itself or for blending. 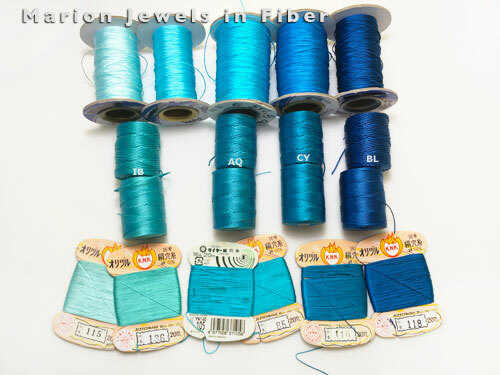 The knitted ribbon can accommodate larger hole beads such as Magatamas, and most seed beads Size 5 & 6. Hey, it's here finally. 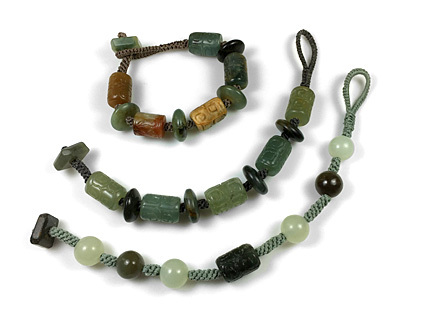 Crown Knotting is the best way to string beads. Find out Why! Plus get instructions on the easy method to tie Crown Knots on a Mini K-Disk and how finish the ends with sophisticated integrated ending. Could not resist these new colors, especially the copper tones! This size is perfect for square knot bracelets, Bollywood knotted bracelets. This is the thinnest size available. 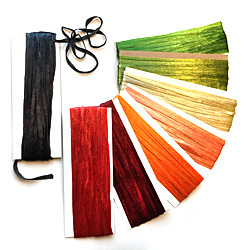 This cord is a very high quality, smoothly braided nylon cord from Chin, just a tad thinner and silkier than than the regular Size E.
August 30 - New Panaché Ribbon Just in - Just Added 6 New Colorways! Usually, yellow, green, red, black, and white, with sometimes blue substituted for black. The five colors represent the five elements and the five pure energetic lights. Black or blue symbolizes sky and space; white, air and wind; red, fire; green, water, and yellow, earth. According to Tibetan traditional medicine, health and harmony are produced through the balance of these five elements. These cords are jewelry quality cords. They are braided evenly. 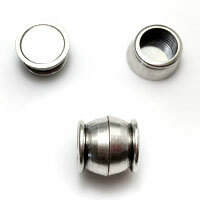 All the sizes are suitable for jewelry projects. 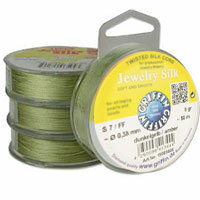 They are available in 5 or 10 yard bobbins and in full spools. August 7 - OPEN TODAY! Hey, check it out - it is brand new. So far, 25 items are posted. 4 are DIY Tutorials and they can be instantly downloaded... So it will be faster for you, and for me too! 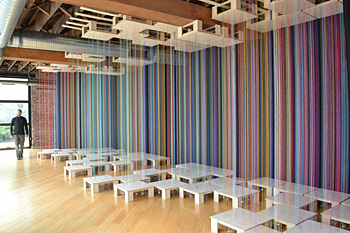 This project was started on July 14th after receiving an email requesting matches between C-Lon Tex 400 Bead Cord and Kanagawa/Fujix Tire Silk. It has been on my to do list for a while, but I kept putting it off, as it is time consuming. The first step was getting the colors of KNK and FJX organized together by colors. That got done on July 2nd - see below. A perfect crochet summer project! Barefoot sandals can also be worn in combination with pumps, or in addition to regular sandals. Over July 4th weekend I designed barefoot sandals out of existing bracelet kits. I wore this pair on July 4th at a pool party. This pair is made with Miyuki Baroque Pearls and White C-Lon Tex 400 Bead Cord. Ever since I brought in the Fujix Tire Silk in, I have been working with two separate drawers, one with the Kanagawa 1000 Denier Embroidery Silk, and the other with the Fujix Tire #16 Buttonhole Twist. Since the quality of the two brands is equivalent, merging the two brands has been on my wish list for a long time. But of course any major change like this necessitated an update of the jpegs to match the current dye lots plus a complete reshuffle of the colors. 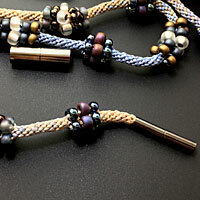 A Mala Tutorial is now available on my blog. This tutorial is my gift to you, it's free! If you are interested in making the tassels. I spend a fair amount of time experimenting with various materials For larger, more substantial tassels, I chose a symmetrical construction. I tested these larger tassels with Griffin Silk Size 8, Kanagawa Silk, and Chinese Knotting Cord. I like them all, but my favorite ones are the ones made with Chinese Knotting Cord Size E, the thinnest Micro Size 0.4mm Ø. > Want to learn how to make your own 3-ply cord? Occasionally the cord that most of us use to make jewelry ends up in an entirely different type of project. Check out 'Sweet Spot' a large scale installation by Shawn Causey and Mark Daniel and look at pictures showing the piece in process. 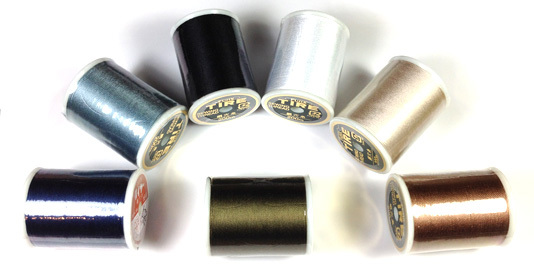 - 38 new colors of Chinese Knotting Cord 1.2-1.5mm New Medium Weight are now available in 10 yard bobbins and 50 yd spools. - Tibetan Buddhist 5 Color Braided Cord in three sizes. 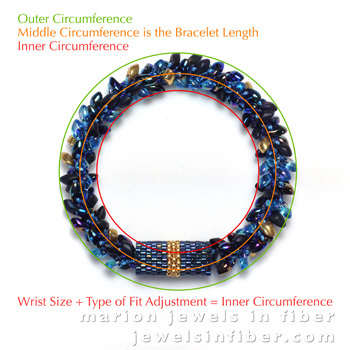 Have you ever made a bracelet for yourself or someone else, and when you were all finished, it was either too snug or too loose? I received a question about the actual length of the Kumihimo Bracelet with Long Magatamas & Tex 400 and one long email later, I decided that all my research and thought on the subject needed to be posted. 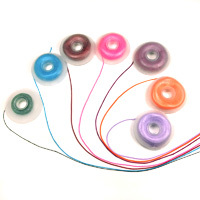 New Colors of Chinese Knotting Cord 0.7mm Extra Fine, 0.5mm Micro Size G, all available in 10 yd bobbins and many are also available in 50 yd spools; Ergonomic Clear Kumihimo Handles for Kumihimo Disks; 1mm and 2mm 100% Nylon Satin Cord. More boxes with more Chinese Knotting Cord will be opened next and more boxes are on the way. Choices, lots of choices, as a designer that's what it's all about, but truly I am running out of space to store it all! After receiving a number of inquiries regarding the best material to use for tassels, I tested all the silk I carry and wrote the first free tutorial. Continuing with experimentation, but this time with larger, more substantial tassels, I went with a symmetrical construction. I tested these larger tassels with Griffin Silk Size 8 and Kanagawa Silk and Chinese Knotting Cord. I like them all, but my favorite ones are the ones made with Chinese Knotting Cord Size E, the thinnest Micro Size about 0.4mm in diameter. Just arrived - Needs 2 AA batteries, not provided. 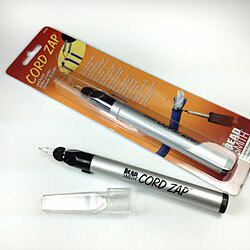 Designed for heavy cords and heavy duty application. 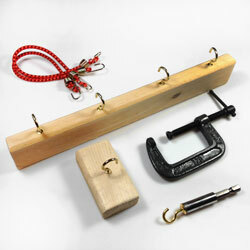 Just photographed and added, so more material & choices for this very popular kit. 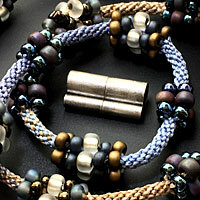 A bracelet can be knitted in an evening! New 200 m (220 yd) spools designed for tailoring just came in. They are great for anyone wanting a larger output. February 10 - New Chinese Knotting Cord just came in. 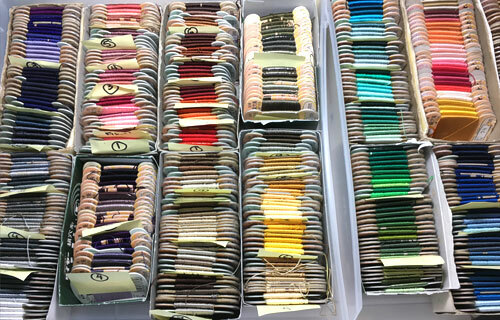 Lots of new colors of Micro Size E, a fabulous size for tassels. Tassel made with braided nylon behave well; the skirts don't fly around or get tangled. A tutorial on larger tassels made with Chinese Knotting Cord is next on my agenda, so stay tuned. 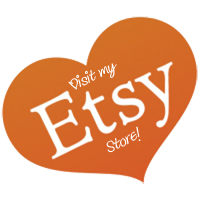 In the meantime you can check this post > Silk Tassels for Jewelry.